Our goal is to go above and beyond parent's expectations. 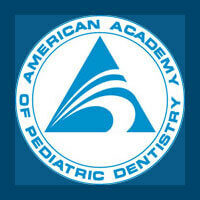 We provide quality dental care in a fun, clean, and child-friendly environment. Your Child's First VisitWe pride ourselves on a very friendly, inviting environment and we do all we can to help put you and your child at ease. In keeping with that effort, we encourage you to accompany your child in the exam room. We also encourage you to talk to your child about what to expect before coming in, without using any language that might cause apprehension. Part of the visit to our office includes motivating your child toward healthy diet and hygiene to get them off to a great start. For initial information on diet and dental health, please visit our pages on Early Infant Care and Common Questions. Following the first visit, the American Academy of Pediatric Dentistry suggests follow-up visits twice a year for preventative care.